Munchkin Land Designs: Giveaway Time! Its time for another giveaway! Normally I conduct a Twitter contest about once a month, with a Deluxe blog design going to the winner. But I’m going to do things a little different this month. This time I’m doing a giveaway and its going to be a two-parter. Curious yet? A Deluxe Blog Design to giveaway on their own blog. What do you think? Is that worth playing for? I sure hope so! I think it’ll be a fun way for the winner to show off their new design! Entry #1 – You must leave a comment on this post. I’d love to hear how you found Munchkin Land Designs. Entry #2 – Become a follower of Munchkin Land Designs on Facebook. Entry #3 – Tweet about the giveaway on Twitter. Be sure to include @In_MunchkinLand in your tweet! Entry #4 – Post about the giveaway on Facebook. Be sure to include a link to Munchkin Land Designs page. Be sure to come back and leave a comment for each entry. I’m accepting entries until 10:00pm (MST) on Monday, April 16th. And I will announce the winner later that week, alongside the “Blog of the Week” post. Good luck! I can’t wait to see who the lucky winner will be! I'm pretty sure I found Jenn's personal blog and Twitter and heard about it through there. I'm a follower on Facebook! I am follower on Facebook...yahoo! Even though my blog design is somewhat new, I would love a free elite blog design too AND give one away on my blog!! I found out about Munchkin Land Designs through twitter. Just tweeted about this giveaway. Just posted about this giveaway on my facebook page. We are SO EXCITED about our New Blog Design that Jenn will be doing for us at Red Sofa Company - We would LOVE to win this! 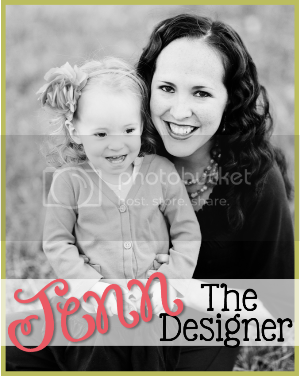 I heard about Munchkin Land Designs through a few different bloggers. We Liked, we commented, we followed, we did it all! I can't even tell you how I found you ... because you've done so many of the blogs that I follow - I can't remember which one led me to you first! I heard about you via Twitter and have twice experienced your awesomeness! 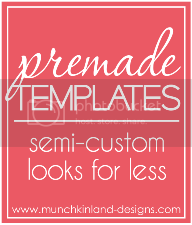 I found your blog through Lindsey :-) Your designs are awesome! Oh I have to enter! I could use some plastic surgery on the blog! I like In Munchkinland on Facebook! Oh what a fun giveaway! I'm going to tweet about it even if you ARE already working on my new design =) Gotta share the giveaway so someone else could potentially win, too! Even though I'd love to be able to give a design away on my blog! I posted about it on facebook! I like MLD on FB! I posted about the giveaway on my personal FB account, and my blog FB account! I came and found you through Neely! Oh! And I heard about your through Neely, forevs ago. I would LOVE to win!! I was just thinking of how I need a new blog-look. Of course, I found you through all of the awesome people you've designed for. OMG how I would love to win this!! I adore your work. I cannot remember how I first found you, perhaps through Neely's blog? I "like" you on FB! I would Love to win! I found out through Neely! I found out about you through Neely @ A Complete Waste of Makeup! I'm in desperate need of a new makeover! Another blogger told me about you a few weeks ago! I have liked your page on facebook. I found you because a lot of the blogs I read on a daily basis have been designed by you! I think I heard about you on Twitter! I follow you on FB, naturally. I found you through Andrea @ My Chihuahua Bites! And, boy...do I need a bloggy makeover! I like Munchkinland Designs on FB. I found you through Neely's blog! And love the design I currently have by you but would love an update! Posted about your giveaway on my blog FB page! I posted it on my facebook page! I sure hope I win... I've been seriously considering a blog makeover, but haven't pulled the trigger yet. Winning would put me right over the edge!! Haha! I found you through Neely and you know I love your designs!! I found you through google when I was searching for blog design giveaways, lol. What can I say, I need a new look to go with the name change I am planning! I follow your blog! Love your designs. I found your site when I started following you on twitter. We had several mutual friends! Katie @ http://www.beesandbows.com/ speaks countless praise about your blogalicious ways! I'm honestly not sure how I found you - I think by clicking through on a blog you had designed a while back! I heard about you from Calli Parker! you are so sweet to give 2 designs away!! i'm remembering how i found you a couple of years ago!!! I found you through Jenna's Journey Blog. I follow Brunch With Amber on Twitter and she retweeted you! I saw this on Twitter - I can't wait to start following you. I tweeted about your give away!!!! I found out about your designs through Kodi on Twitter! I posted about it on Twitter. I don't see this as an entry, but see everyone commenting, I liked your page on FB, just in case. I have no idea how I found you, probably twitter. But I'm glad I did!! I RTed your tweet about this! I really would love to win and I know exactly who I would give the second one to! became a follower on facebook!! posted about the giveaway on facebook!! I found you by way of Twitter. Followed on Twitter, liked on Facebook, mentioned on Twitter, RT'd on Twitter and shared on Facebook! I would love to win this!!! I found you through twitter! I found this blog through Twitter! I found you through my friend Ashley @www.ashleyscarnivalride.blogspot.com! I'm now a faithful facebook follower! @loriannspencer is not following on twitter!